In a non stick flat skillet or grill pan add little oil and heat it. When all the sides are cooked and turned in golden brown color remove it from pan. Now sprinkle salt and pepper on them and transfer in serving dish. Add diced tomatoes, cucumber and onions on them. 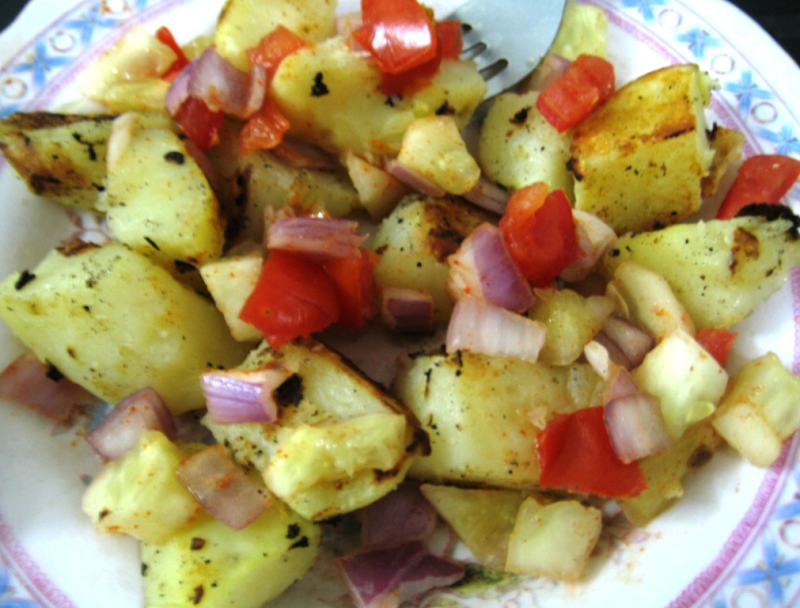 Your aloo chaat is ready; it is very quick snack in rainy season. You can add pomegranate seeds, chat pwd. roasted and peeled ground nut, fresh coriander-- gives colour and taste to ur chat.